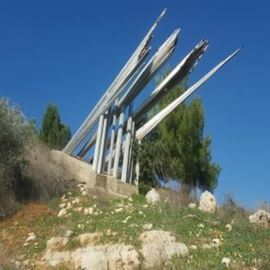 The route starts at a roadside station that was on the Roman "Caesar" road, the main road from Ashkelon to Jerusalem, and leads travelers to a magnificent natural view of the springs. At Ein Tanur, you can enter the spring and splash in the water. 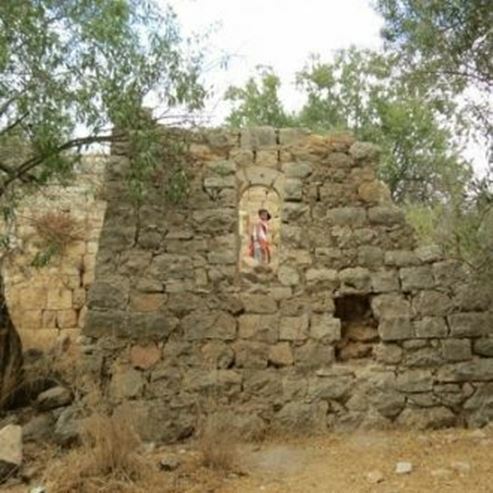 Khirbet el Khan, which is its ancient name, served as a roadside station on the Roman emperor's road, which began in Gaza, crossed the Emek Ha'Ela and ascended to Jerusalem via the mountain. There an ancient structure and mosaic floor, an ancient water reservoir, an ancient winepress with a treading floor paved with a white mosaic that is a remnant of a Byzantine church floor from the 6th century, this church later became the roadside "Khan", the mosaic was the victim of iconoclasm, and human and animal figures were destroyed. The mosaics' geometrical and Greek scripts were preserved and everything was covered with sand. The trail leaving Khirbet Hanoot leading to Ein Mata, a spring that flows into Nahal Zanoh, which flows near Moshav Mata. 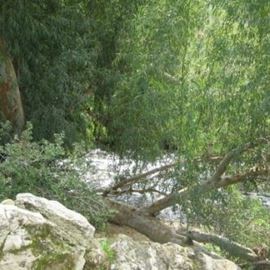 The stream descends from the moshav to the west and after a kilometer the spring appears. The spring water flows from a small niche at the base of an agricultural terrace and flows in a thin stream down the ravine. The spring has high eucalyptus trees, fig trees and carob trees. Another spring that flows from the same channel to the west of Ein Mata is Ein Tanur. The spring water flows from a niche that is shaped like a question mark with walls of ashlar stones, and its ceiling cut in a classical Gothic style. It goes straight about 15 meters and turns sharply to the left. Continue for 6 meters until the end of the niche, the shallow and clear waters are pleasant for walking upright, you can sit and enjoy the wonderful quiet, then rest in the shade of the fig trees. For those coming from the center, you drive on Route 1 towards Jerusalem, at the Sha'ar Hagai interchange turn right towards Beit Shemesh - Beit Guvrin on road 38, continue straight to Ha'Ela Junction, turn left onto Road 375 and drive about 10 km while climbing the winding road, which is surrounded by a natural green and mountainous landscape. At the end of the climb you must turn left carefully according to the signs to Khirbet Hanoot and park the car in the parking lot. For those coming from Jerusalem and the area - take Tzur Hadassah Road - HaEla Junction to Route 375, the starting point is at the Khirbet Hanoot parking lot located west of the entrance to Moshav Mata.